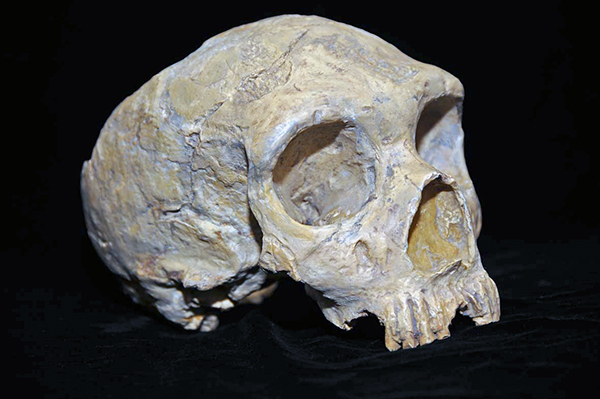 The extinct Neanderthals had orbital eye sockets that are much larger than ours. Recently, there has been an discussion covered in a fascinating article linked the other day on the BBC discussing the large orbital eye sockets of the Neanderthals and whether these eye represented a reason for the Neanderthals’ demise or not. There is a great TED-Ed video on “The Evolution of the Human Eye” with some very clever animation. The video itself is short and geared towards the college level, and while some of the conjecture at the end contains some far out statements, it is a fun few minutes. There is a great online chapter covering the Evolution of the Avian Visual System by Scott Husband and Toru Shimizu covering everything from brain evolution in dinosaurs to retinal structure and post retinal pathways. Also, if evolution of visual systems interests you, don’t forget to read the Webvision chapter Evolution of Phototransduction, Vertebrate photoreceptors and Retina by Trevor Lamb. 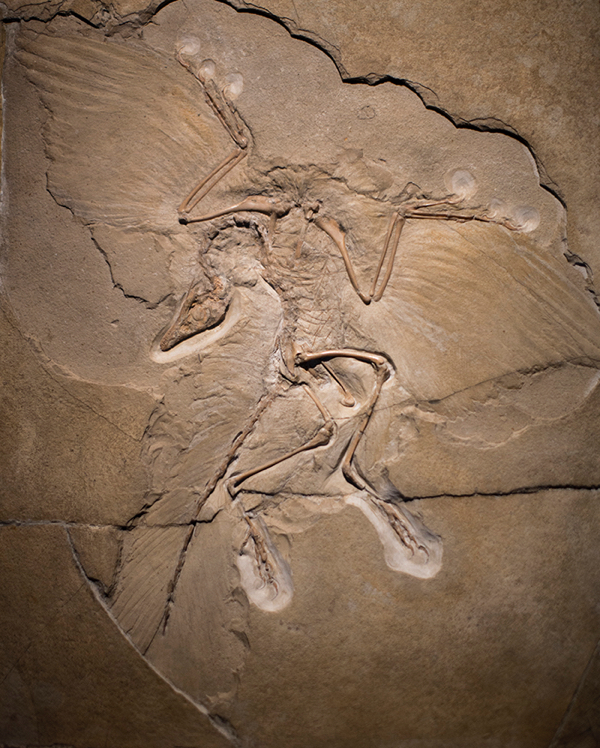 Image of Archaeopteryx courtesy: Bryan William Jones, Ph.D. Original appeared here. Photographer Suren Manvelyan has produced an amazing collection of photographs of eyes over the last couple of years. 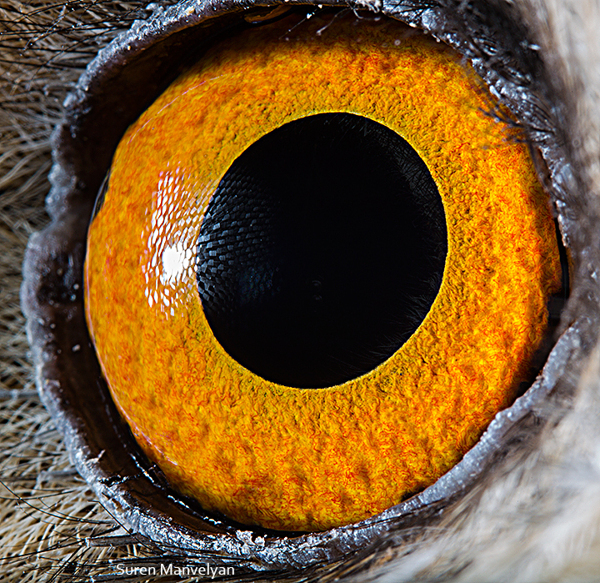 He started with a phenomenal set of images from human eyes and has now expanded his collections to include 3 sets of animal eyes. Part 1, Part 2 and now Part 3. Spending some time looking through them is a good investment, particularly if you consider the evolution that has shaped the biology as looking at the different structures of the outer eyes gives you clues as to the environments these organisms live in. 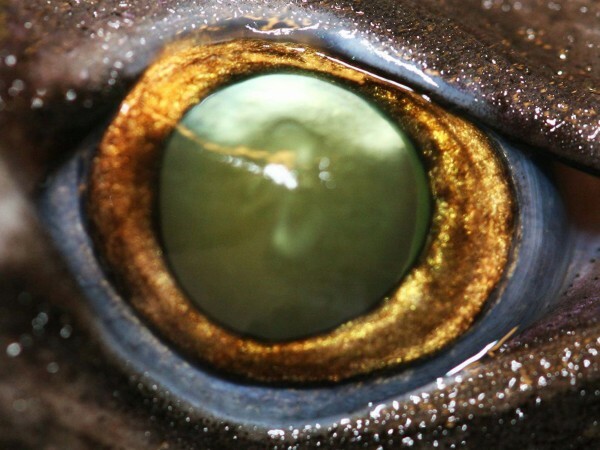 There are species of shark that are bioluminescent and have evolved ocular structures designed to detect faint light patterns in the deep ocean produced by other bioluminescent sharks that live at depths from 600 to 3,000 feet in the mesopelagic zone where very little sunlight reaches. This amazing video produced by the History Channel, Vision and Evolution of the Eye is well worth 40 minutes of your time. The evolution of visual systems is something that we here at Webvision are very interested in. Also note that we have an excellent chapter on the Evolution of Phototransduction, Vertebrate Photoreceptors and Retina by Trevor Lamb here on Webvision. We at Webvision have a fascination with the evolution of the eye and are always looking for interesting papers that help describe from where, how and when vision came. This paper, Molecular analysis of the amphioxus frontal eye unravels the evolutionary origin of the retina and pigment cells of the vertebrate eye by Pavel Vopalenskya, Jiri Pergnera, Michaela Liegertova, Elia Benito-Gutierrez, Detlev Arendt, and Zbynek Kozmika attempts to answer the question of where the vertebrate eye came from. 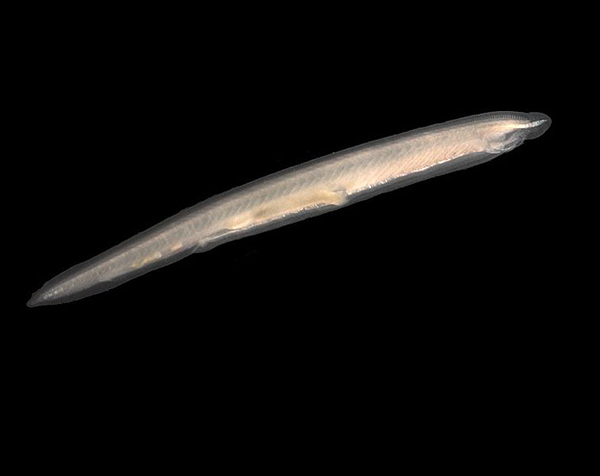 While the amphioxus has for many years been recognized as a viable candidate for the earliest vertebrate eye, the retinal structure is different from that of other vertebrates. Specifically, the photoreceptors of amphioxus are simple ciliated cells as opposed to the more sophisticated elaborations of structures on top of cillia in other vertebrate retinas. 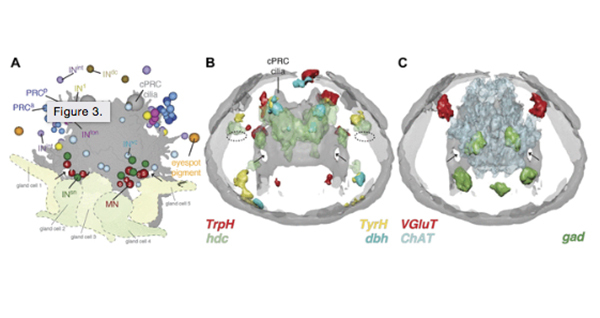 This paper describes in molecular terms, gene coexpression and structural features the different cell types of amphioxus in an attempt to define neuronal circuitry. Its a very cool paper that provides additional detail into the evolutionary origins of vision and we encourage you to have a look.